One of my students with Asperger's displays completely different behaviour towards the end of the yoga class and immediately afterwards. He is much more settled and can work quietly with real focus and purpose. We do our yoga class early in the day and this sets my class up for a noticeably calmer and more focused session after yoga. My class has just completed an amazing four week yoga sports session with Karen. 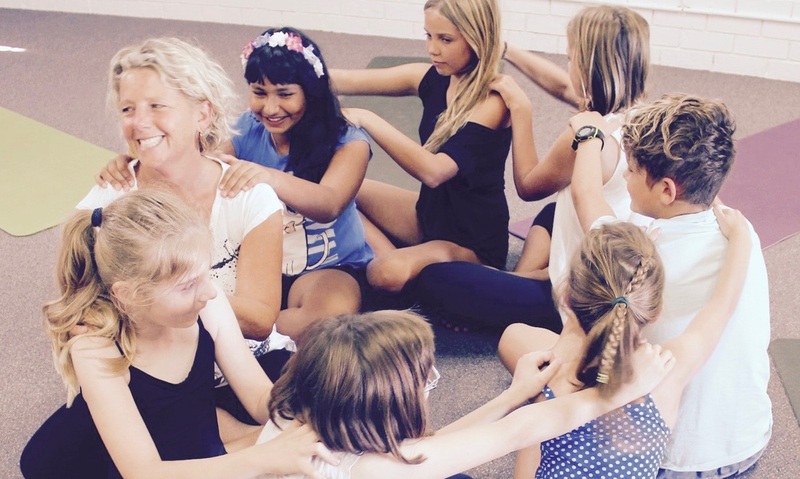 Her ability to engage 24 five and six year olds for a 50 minute yoga session each week were heart warming. Her passion for yoga was there during each lesson. What was most evident was the way the students responded during those weeks, and the calm, relaxed and 'in the Zone' cool down time - thank you Karen. A beautiful, gentle session each week. The poses and philosophy are well explained. Students are consistently encouraged in a positive way. The tears in my eyes said it all! What an amazing, soul enriching 'snap shot' of the hours of love, encouragement and wisdom you have given each child!!!! Blown away!!!!. Feel inspired? See the benefits of School Yoga here.